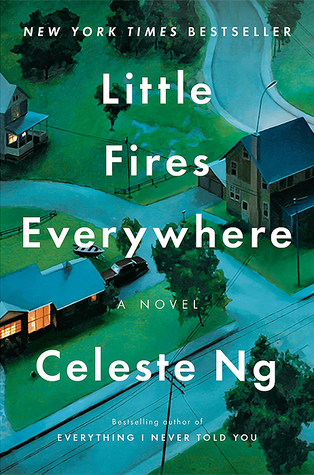 Little Fires Everywhere is the first novel I’ve read by Celeste Ng, and I was really confused at first when she the story started at the end, but it ended up being a brilliant way to keep me intrigued and wanting to read more. I really loved how even in the most “perfect” community – one where everything is precise and planned – people have their secrets, their flaws. Even Mrs. Richardson bends the ethical guidelines of her and her friend’s profession. Then there’s the controversy in the story between the McCullough’s and Bebe, which really made you think about your own morals and what is right and wrong. Should do-overs, per-say, be allowed in such instances? I also had to keep reminding myself that this was a different decade that this was all occurring it, so I’m certain that this had a lot to do with the outcome. I do wonder if Mia felt compelled to help Bebe because she felt guilty of her own actions all those years ago … Whatever the reason, I was disappointed in Mia’s actions towards the Ryans and feel bad for Pearl not knowing the true reason behind their nomadic lifestyle. I also felt bad for Moody. He befriended Pearl and she did nothing but deceit him after falling for his older brother. Moody was perhaps the only character in the story who wasn’t being selfish; even Izzy was selfish in a sense by wanted to keep Mia all to herself. I think I would have given Little Fires Everywhere five stars, but I was a little disappointed in the actual ending of the book. I was hoping for a bit of reunion between Mia and her family, some answers owed to the Ryans. Maybe I’ll get lucky and there will be a sequel.